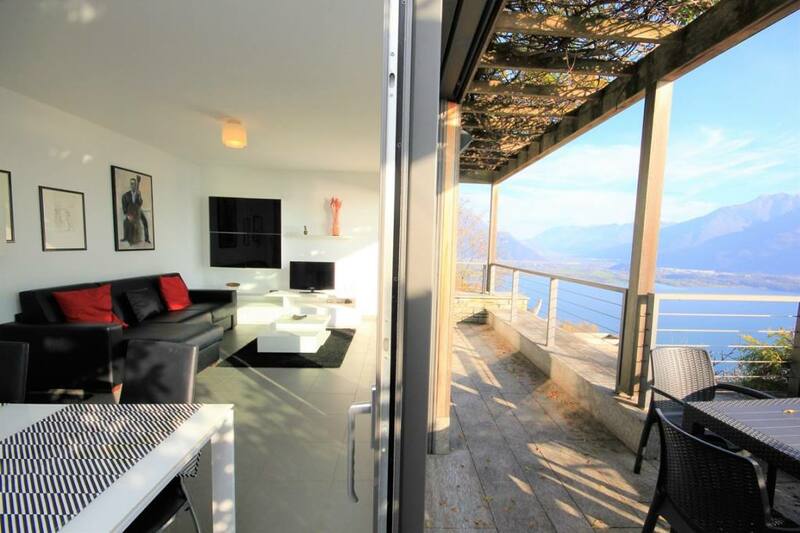 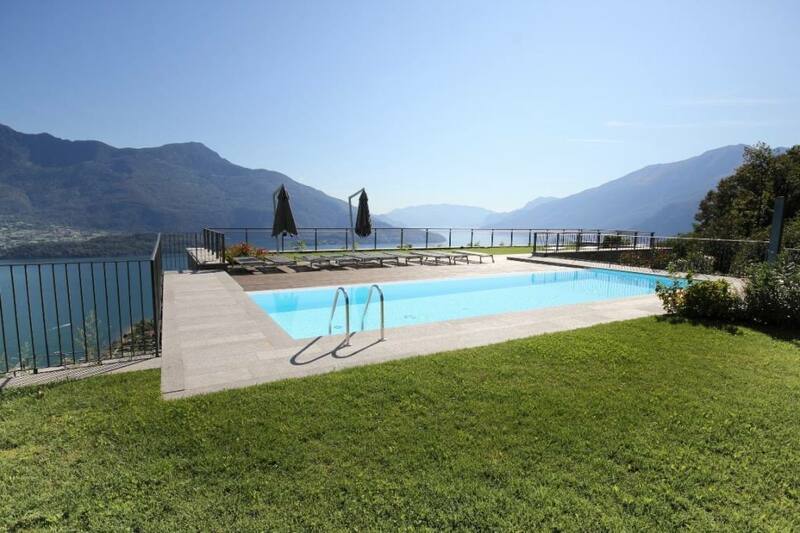 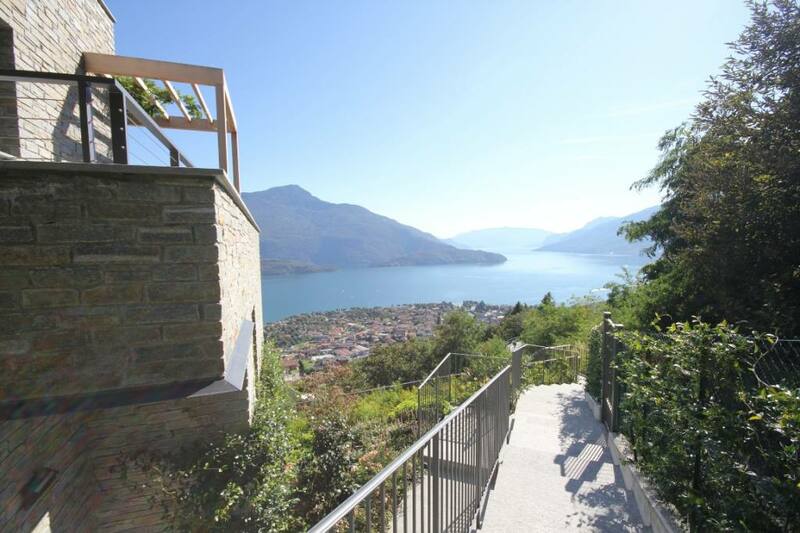 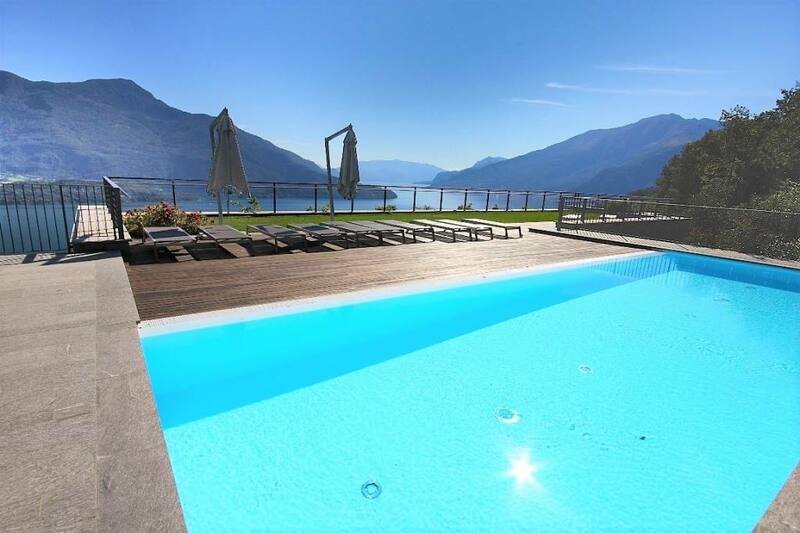 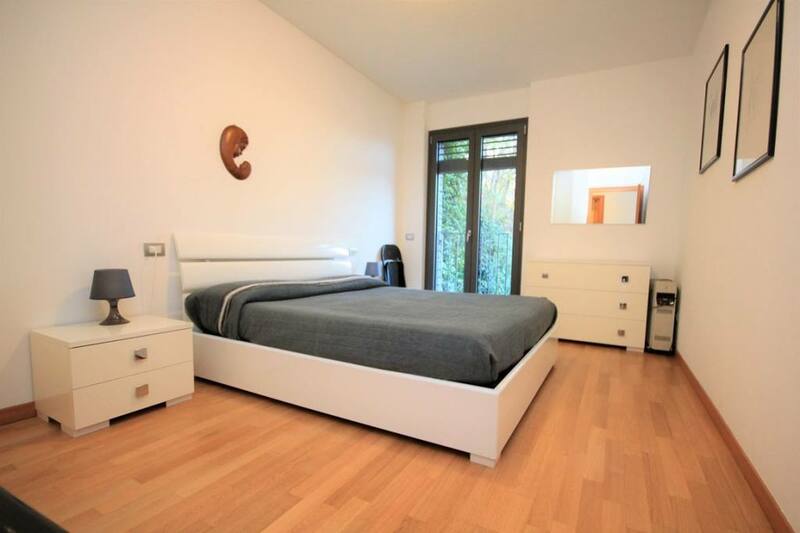 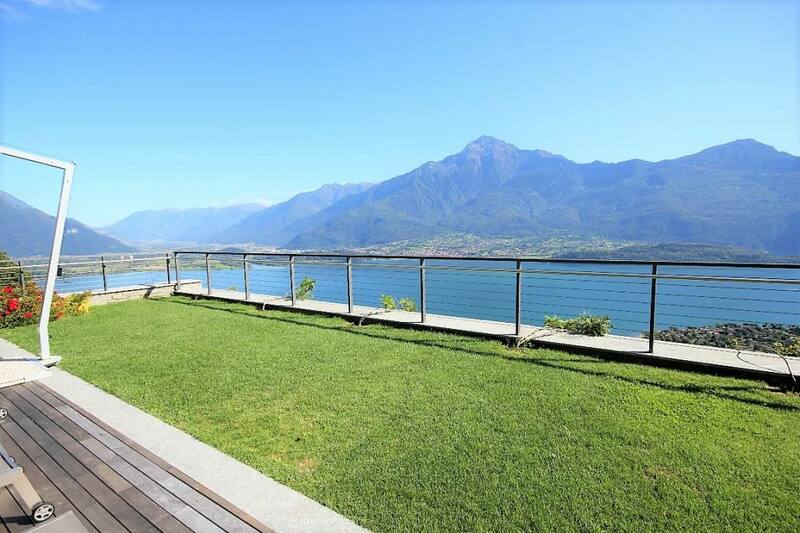 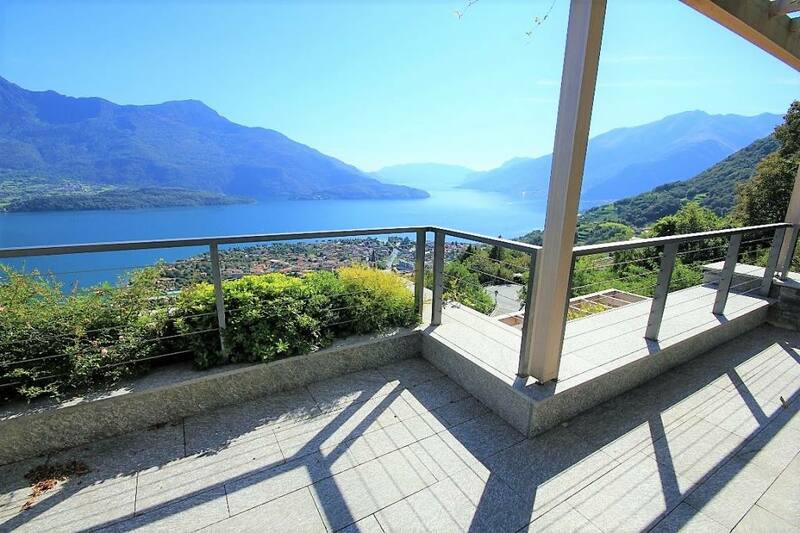 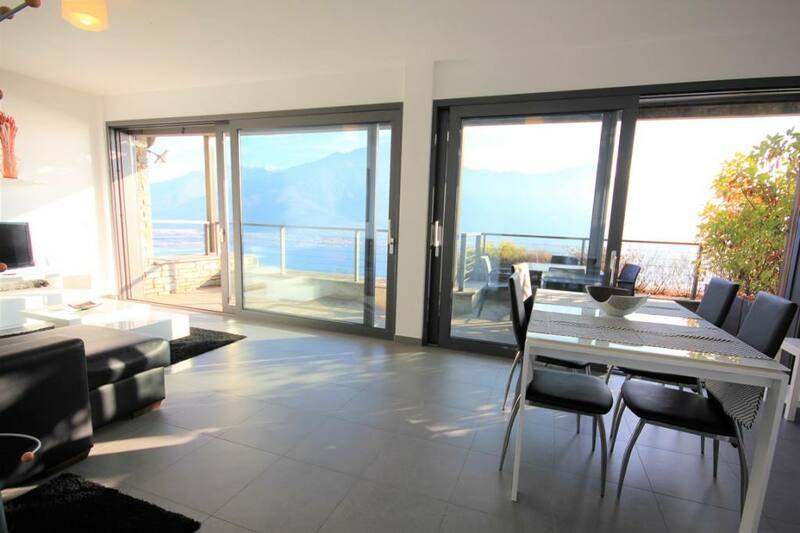 With a spectacular lake view we offer this beautifully presented and luminous apartment on Lake Como. 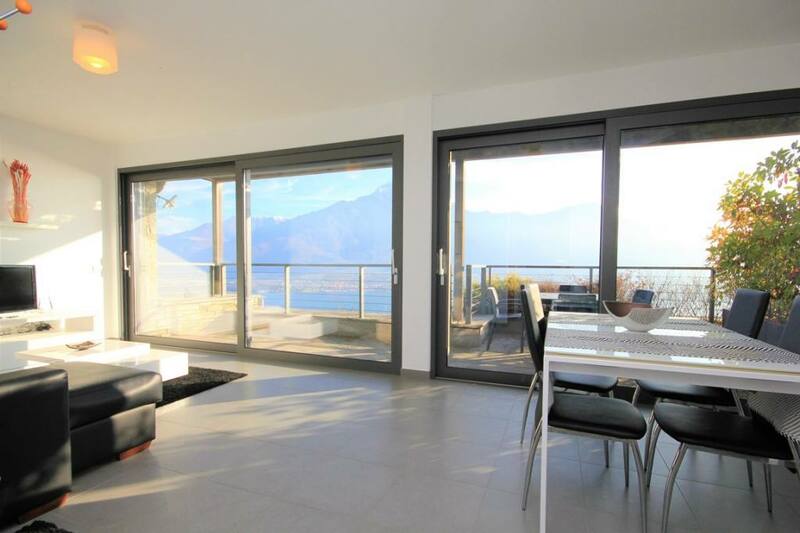 The 70sqm apartment is located in a modern complex with swimming pool in the hills above Domaso. 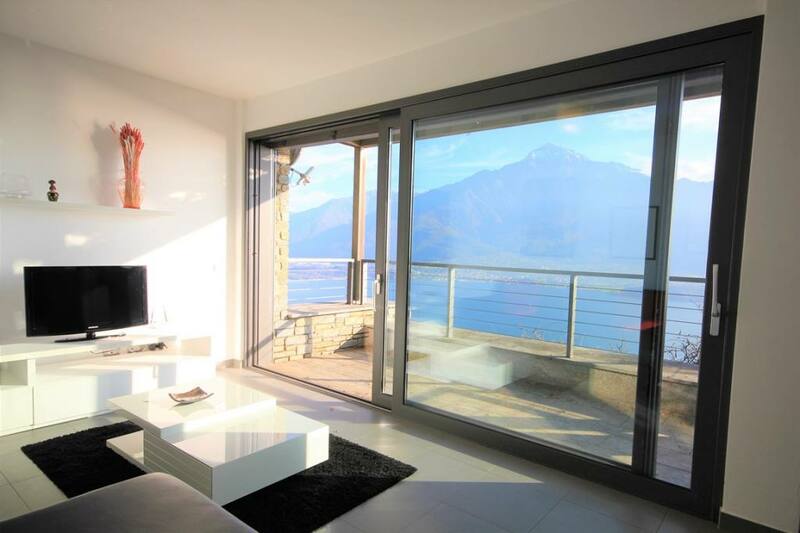 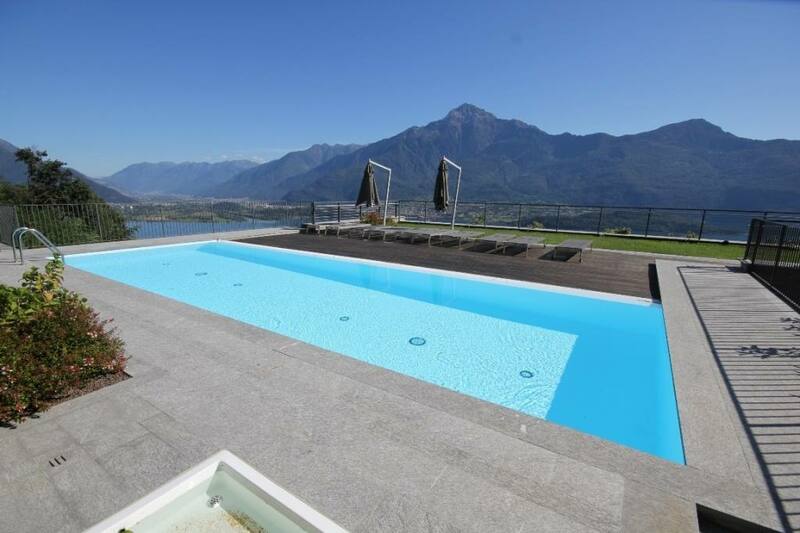 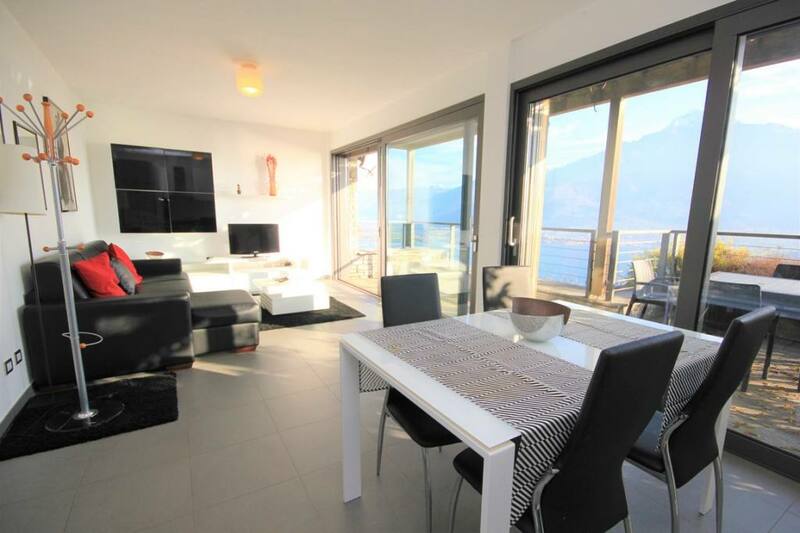 The apartment is on the top floor of the residence and benefits from a stunning terrace with simply breathtaking views of the lake and mountains. 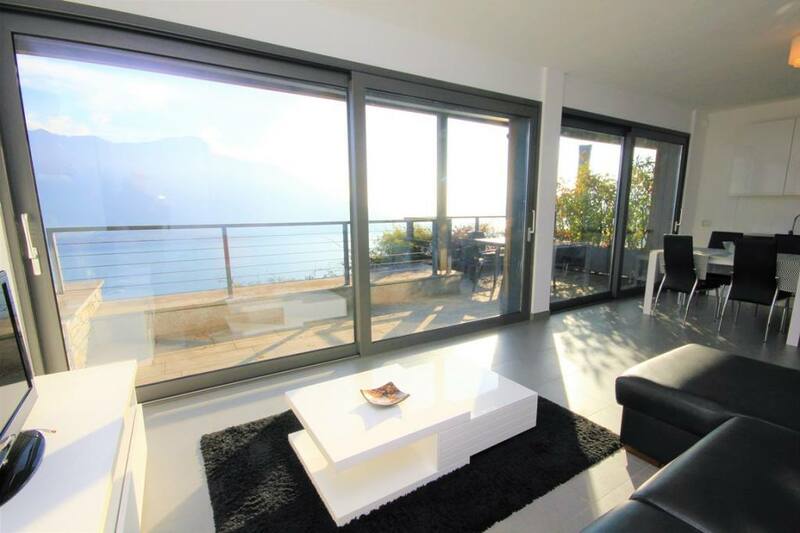 The modern residence has large windows in all rooms making the most of the spectacular setting. 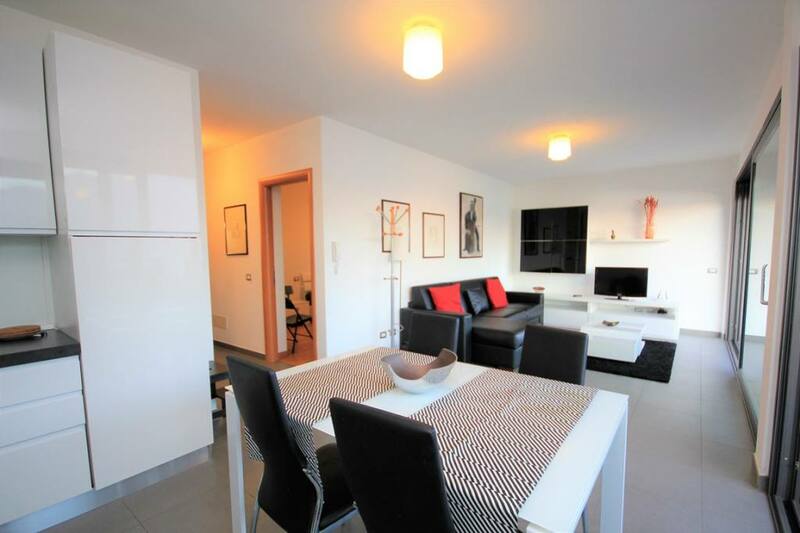 The apartment is comprised of entrance, large living room with large sliding doors to the outside, kitchen, double bedroom, bathroom. 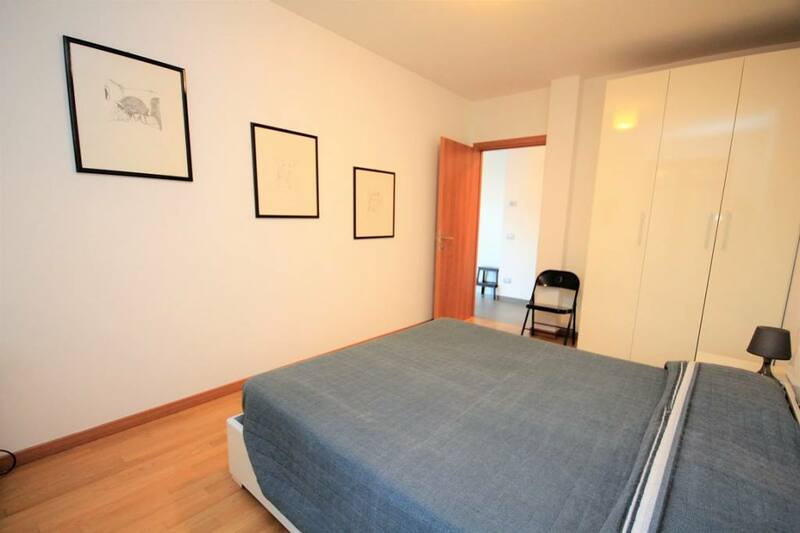 The apartment is sold fully furnished and includes a cellar and garage.